Cristina has two wonderful children, Chiara age 15 and Francesco age 18 (three if you count her Dalmatian). 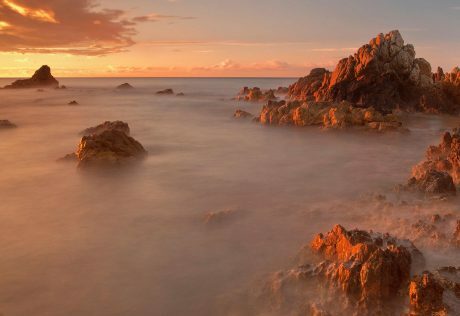 She is passionate about the sea, mountains, valleys, nature, and wind, which blows 200 days a year in Sardinia. 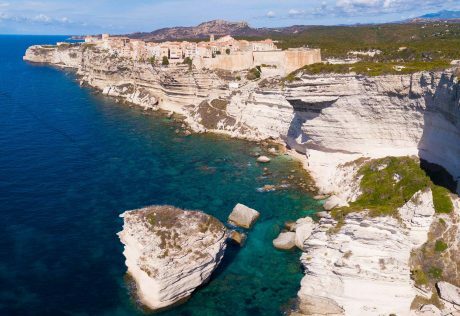 Cristina loves Sardinia, and ancient and mysterious land of nuraghi and giants’ graves, of warriors and fairies, rich in tradition and ancient flavors. Her passion for cycling was born out of her love of the kitchen. She enjoys cooking just as much as eating, and consequently she had to boost her metabolism by taking on a sport: the bicycle. She went from leisurely mountain bike excursions to competitions, fueling her career as a regional mountain bike racer, to gran fondos, to the Campionato XC Sardo, winning the title in her category in 2013. 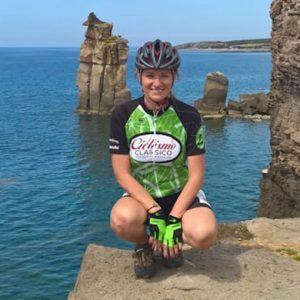 To supplement her training, she added road biking to her regiment, and she found a sense of freedom as she pedaled along the Sardinian coast, a a one-of-a-kind experience. The bicycle is her mantra and her spiritual connection with the universe. When she’s not cycling, for the past 25 years Cristina has been a flight assistant, an activity that she does alongside her job as a guide (which she prefers!). Thanks to this job, she has met many special people and made new friends from all over the world, sharing her passions with them. Cristina has been with Ciclismo since late 2014, and has felt at home ever since. She likes the idea of contributing and sharing her experiences and her passion for the secret and not well-known locations of La Bella Italia through food and along the Roman path with only the sound of your bicycle wheels running along the pavement.